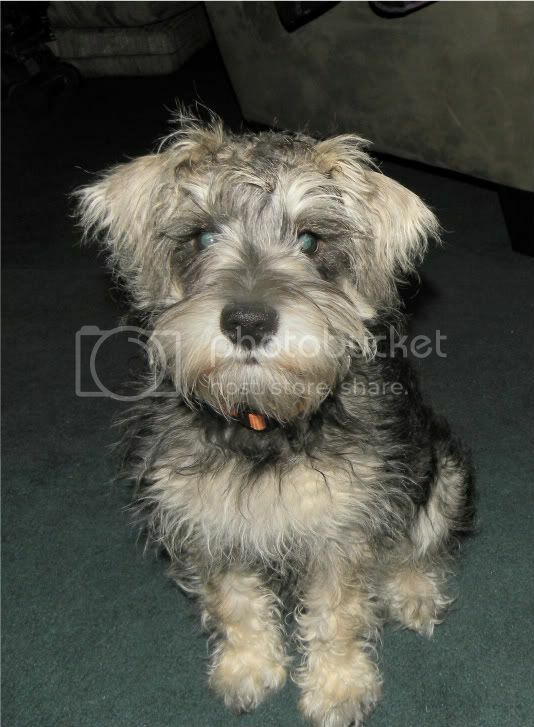 I have a 5 month old male miniature schnauzer puppy who already weighs 18LBS. He is still growing lots, and his paws still look big for his body. How big is he going to get? Any ideas? He is about 14 inches tall. Which I know is the limit on hight for breed standard. Hello Kathryn and welcome to the forum. 5 months 18 lbs? I'll say about 25- 30 lbs full grown. Hi Kathryn! What a cutie pie!! Yes it definitely sounds to me like you didn't get a mini schnauzer! Have you contacted the breeder about about this?